At Beauty High we constantly have new products crossing our desks and are always on the hunt for the next best thing. “The One Thing” is our way of sharing with you that must-have product that you need to introduce to your lives right now, whether it’s from a drugstore or a department store. When you’re applying your mascara in the morning, chances are you’re going to need to clean up some stray product around the edges of your eyes once you’re done. The same goes for lipstick and touching up the area around your lips. Sure, you can avoid the situation altogether with the precision of a makeup artist, but realistically, everyone’s going to have black mascara on their eyelids by the time they’re done with the brush. We use cotton swabs with a bit of water to get the job done, but while the moisture helps to loosen the stray product, it still doesn’t completely remove it. That’s why we were ecstatic to find the Oceane Makeup Remover Pen, a product that solved all of the makeup accidents we were having. A pen fully loaded with fragrance-free makeup remover, the tip of the product will wipe away excess product without drying out your skin. The pen comes packaged with three extra makeup remover tips, so when one collects too much product, you can swap it out for a new tip. Complete with a cap, it’s perfect for throwing the pen in your bag for touch-ups throughout the day or while you’re traveling. 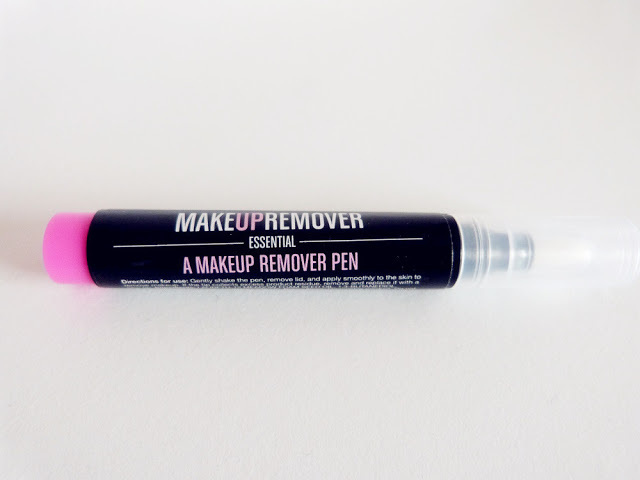 We’ve been using makeshift makeup remover pens (damp cotton swabs) for years, and this product simply solved the issues we were having with makeup. It’s small, easy and a no-brainer for our every day makeup routine.